A string of islands, stretching for miles off the southern tip of the USA, the Florida Keys are as laid-back as they are quirky. Flip flops and shorts are mandatory, as is a convertible as the best way to explore the Florida Keys is by the Overseas Highway. One of America’s top ten scenic drives, it connects the islands by a series of bridges. Take it slow and stop along the way - there's no need to hurry in the Keys. Incidentally, the word Key is derived from the Spanish word cayo, meaning small island. Key Largo, the first Key, is a water lovers dream. With a long history of marine conservation, the nation’s first undersea preserve, John Pennekamp Coral Reef State Park was created in 1960. Take in the views on a glass-bottom boat tour or get a closer look scuba diving or snorkeling. You can also try your first slice of authentic Key lime pie - the area historically was known for its Key lime plantations. 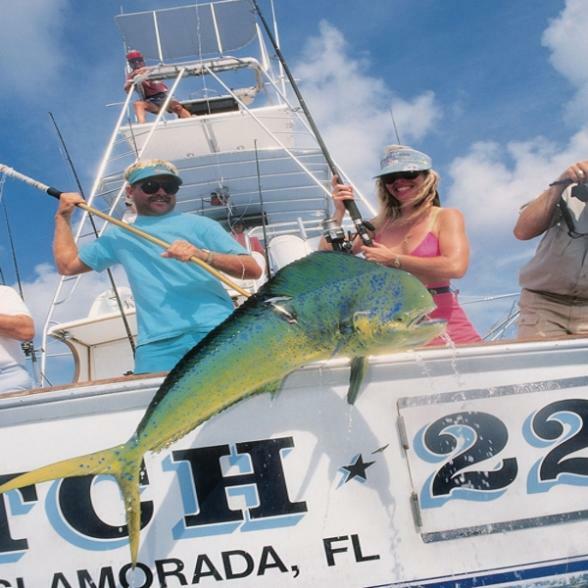 Islamorada is situated between Everglades National Park and the Straits of Florida. Islamorada, is actually a village of islands - six in total. This is America’s fishing mecca with, quite possibly, the world’s highest density of professional offshore charter boats. This is where backcountry sport fishing and saltwater fly fishing were pioneered. 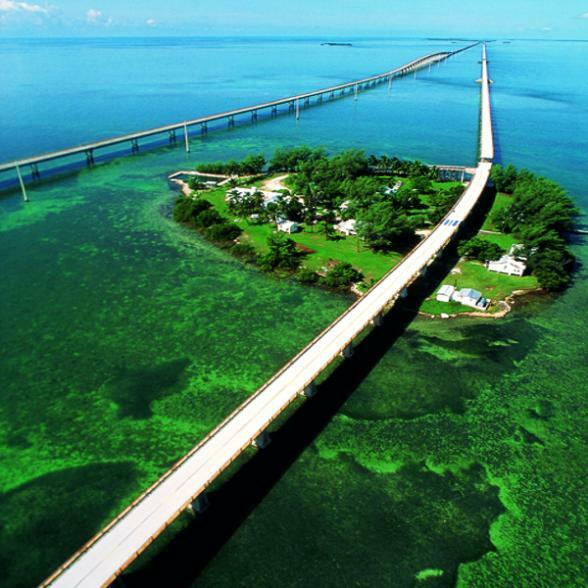 Marathon is 10 miles long and situated right in the middle of the Keys. Family-oriented, this community is one of the most marine-friendly. Visitors will enjoy Marathon’s fishing heritage and seafaring traditions. Key West is the southernmost point in the continental USA. It's actually closer to Cuba than Miami! The blend of Cuban and Bahamian heritage is evident in the relaxed atmosphere. Stroll palm-lined streets full of unique architecture like gingerbread and tin-roofed conch houses. Enjoy sidewalk cafes and open-air bars where the seafood is beyond fresh and drinks ice cold. It's no wonder some of the most famous writers in US history found inspiration here; Ernest Hemingway, Tennessee Williams and Robert Frost. And don't forget to celebrate sunset each night in Mallory Square. We simply have to tell you about Pierre's Restaurant in Islamorada. This historic Antebellum Home is tucked away behind swaying palm trees and not a place you'd stumble across unless you know about it. Our clients love it, we love it. "Barefoot elegance" is the trademark of Cheeca Lodge & Spa. Bungalows in Key Largo is an all-inclusive beachfront resort with incredible cuisine options, outdoor soaking tubs, Zen Spa Garden, and unique tiki bars.